We are looking to hire a full-time plumbing inspector. Please refer to the jobs page for more information. Effective January 15th, We will no longer be doing transactions that require a fee after 4:00pm. Our counter will remain open for information, inspection requests and no fee transactions. 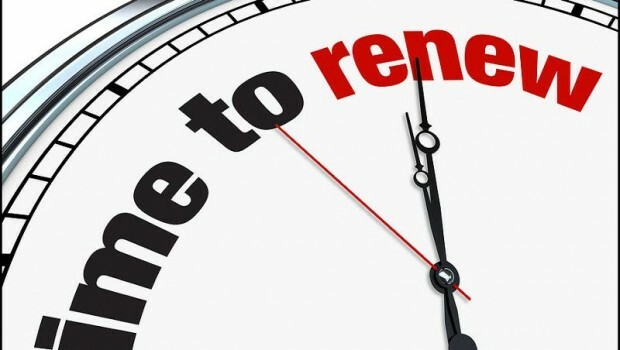 2019 Online License Renewals are available - Renewal Fees are 2 times the base fee until 5/31. Renew your license by 5/31/19 or you will need to submit a new application. You are not able to get inspections or permits until your license is current. Renewal reminder cards were mailed out to contractors by December 7th. Please Note: Pueblo code requires that low voltage contractors in Pueblo have a contractor's license issued by this department for work in commercial buildings. Please submit a contractor license application before you begin work. Effective Jan. 1, Water heater permits can only be issued to licensed plumbers per Colorado Plumbing Board ruling. Mechanical contractors will no longer be able to pull these permits. Pueblo Regional Building is on an all electronic online commercial plan submission and review. We no longer accept paper plans nor will plans be accepted at the front counter for any new submissions. We no longer accept permit applications via email/fax. Contractors will be required to either get permits online or at the counter. The only case we will accept permit applications by email/fax is if you have been instructed by the department to fax or email it to our office. If you need to come to the office to visit with an inspector, please plan on being here between 7:30 & 8:30 in the morning. That is generally the only time inspectors are routinely in the office. **The best times for getting permits at the counter are from 8:30am to 12:00pm and 1:00pm to 3:30pm. Many contractors may get permits online. We do not write permits that require a fee after 4:00pm All contractors can put in inspection requests 24/7 on our website. Please be aware that the County Planning office now requires that all plot plans be done to an engineering scale, such as 1 in.=50ft. When calling our office, please listen to the options on our phone system. It is designed to connect you with the correct person quickly. Direct extension numbers are available on the Contact Page. Extensions link to inspector mobile phones when available. Contractors may use our online system to enter inspections after hours. Home Owners should call during office hours. Current codes are the 2015 I-codes and the 2017 NEC. Please refer to this page. for additional information. Please obtain an address for you project prior to submitting it. Please refer to the Addressing page for complete information. Please refer to the City of Pueblo Enforcement Guide regarding various types of complaints and violations. Please refer to the ordinances on the City website for more information. "The Pueblo Regional Building Department is dedicated to promoting and preserving building safety through professional and courteous service. The purpose of the Department is to educate the public, enforce minimum building code standards through teamwork and personal pride, and to enhance the relationship with the public and building community."